A lot of people fear the egg. I for one do. Not consuming les œufs — that part I love — but preparing them. The thought of trying to poach an egg correctly sends shivers down my spine, and mastering the art of the French omelet? An even more unbearable undertaking I can’t wrap my head around. 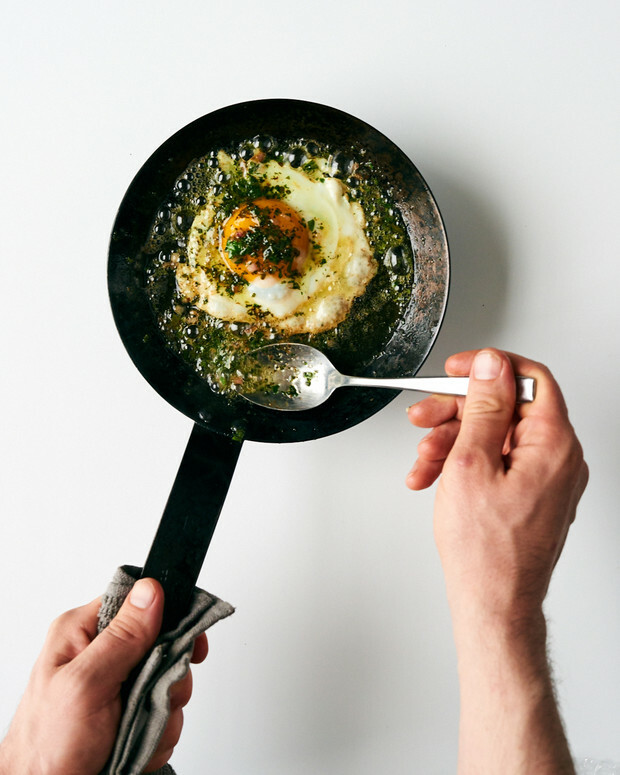 For one of the most versatile protein options out there, eggs can be damn hard to get right — too runny, too overcooked, too annoying to deal with when they break on the counter, in the water or all over the pan. Yet there are a few connoisseurs who know all the tricks to handling these white oval objects. 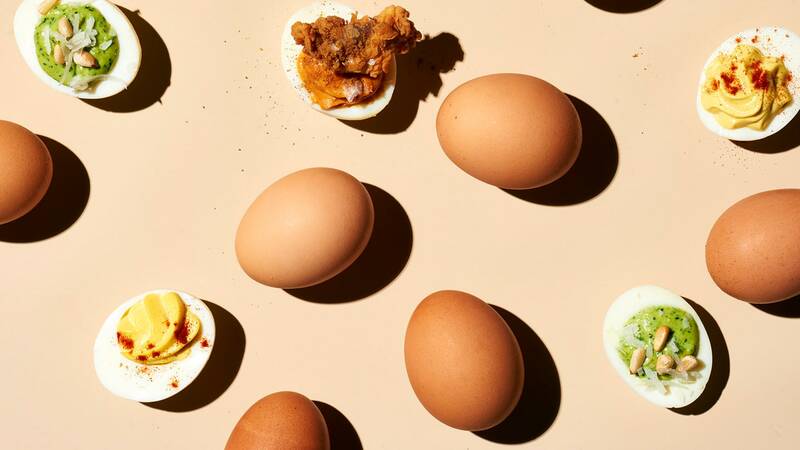 To make cracking, flipping, poaching and scrambling a little less scary, we asked chef Nick Korbee of the Egg Shop in New York City to share his best hacks. Using compound butter allows for an egg cooked with tons of flavor without the need to take the time to make an additional sauce or chop any veggies or herbs. Plus, if your egg-flipping game isn’t very strong, basting allows for an over-easy (or an over-anything) experience without getting anything on your face, shoes or the kitchen floor. Heat a nonstick pan over medium heat and add a tablespoon of butter, letting it sizzle and slowly melt. Next, crack an egg into the pan. The egg white should set immediately as it touches down in the pan, and the egg white that surrounds the yolk should remain uncooked. Then, add another tablespoon of any kind of premade compound butter (like herb, truffle, etc.) and use a spoon to drizzle the top of the egg with the butter going on and off the heat. 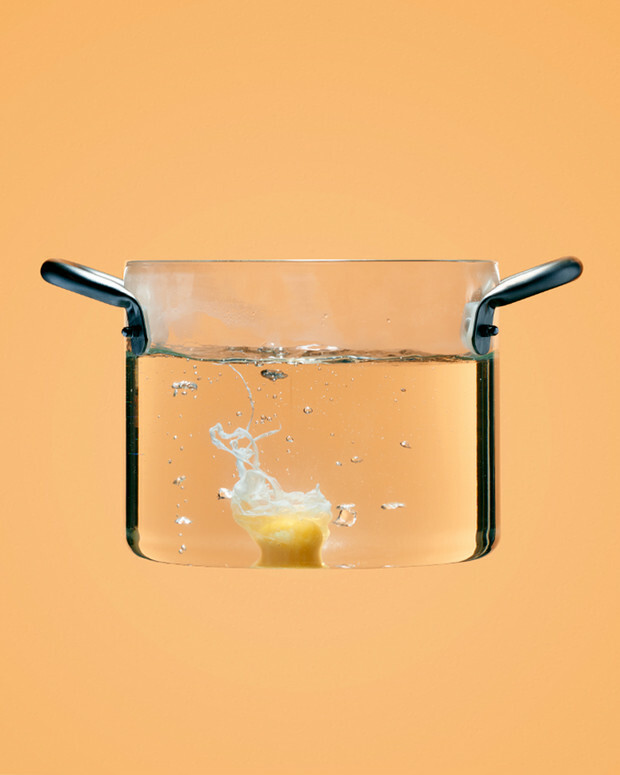 If you like your eggs crispy, just keep on truckin’ — but be careful not to burn your butter. This is a technique and equipment hack that saves both space and time. You don’t need to heat up a nonstick pan or get a double boiler going to achieve the French soft scramble of your dreams. Whip two eggs with a little bit of cream (or even half-and-half) before steaming them with the wand of an espresso milk steamer. Be sure to have the steamer tip submerged all the way and work the eggs up and down on the steam wand, stirring with a spatula or wooden spoon every so often. When the eggs resemble a nice, pourable, French-style scramble, your work is done. Finish it with a bit of butter and sea salt. The goal of a French omelet is to have a nice roll that is fully cooked on the outside (without any heat scarring or brown bits) and nicely creamy on the inside. It’s harder than you think — and this hack aims to save you a lot of practice. Get a nonstick pan medium-hot. Then take it off the heat and count to 20 before adding in two eggs. Now, give them a little swirl so they fill the pan and watch carefully as the eggs begin to set. 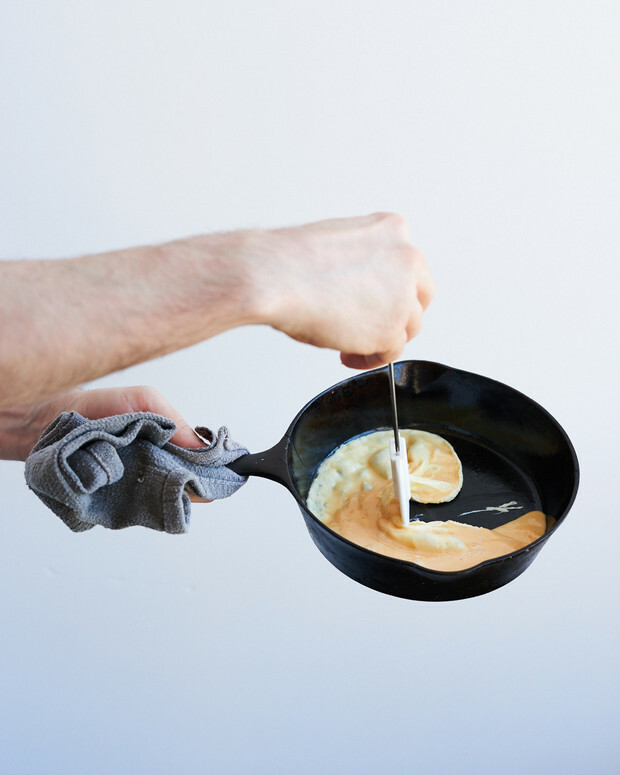 After about 45 seconds, tilt the pan forward at a 45-degree angle, and use a spatula to begin to roll the omelet onto itself from the back of the pan toward the front. As you roll, increase the angle of the pan, and with one final move, roll the omelet onto the plate. Rub the omelet with a little butter, and finish it with sea salt to get the full effect. Pre-poaching eggs and holding them in an ice water bath until you want to use them is a lifesaver when you’re doing a massive brunch party, as it typically take about two minutes to poach an egg, and most people are not comfortable poaching many eggs at the same time. Bring a pot of water to a rapid simmer, being sure to add a bit of acid (white vinegar or lemon juice will do) and a pinch of salt. Now, release the eggs as close to the surface of the moving water as you can. You can either use you hands, or crack the eggs into a cup or gadget of your choice. Using a slotted spoon, gently lift the poached eggs to the surface and give a little wiggle to test if the white has set. When the whites are set and the yolk is still fully liquid, slide the poached egg directly into an ice water bath. You can poach as many eggs as you like this way, and then, when you are ready to serve (up to a day later), simply give the pre-poached eggs a 30 to 45 second bath in simmering water. This hack sidesteps the need to have any sautéing skills. While being able to roll and flip ingredients in a pan is a must for any French chef or line cook, it’s totally unnecessary for a home cook trying to get his or her egg on. 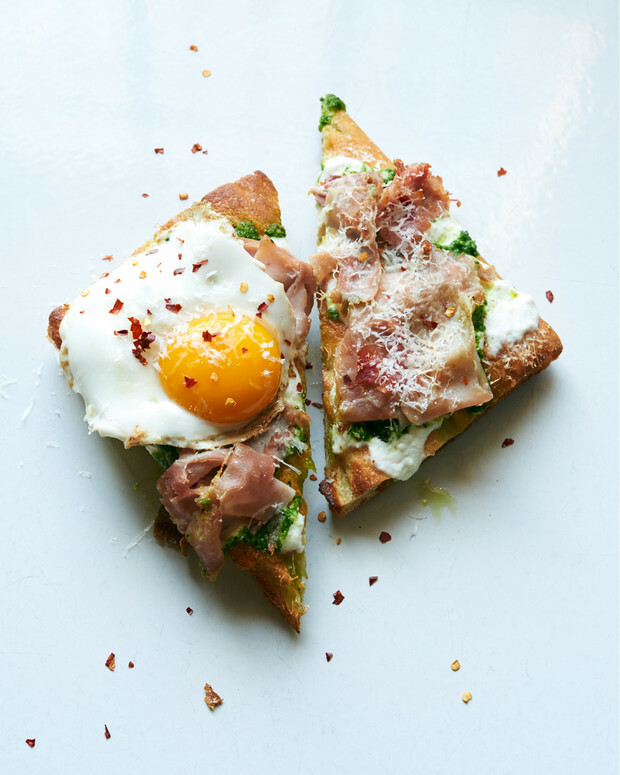 Using a nonstick pan or cast-iron skillet over medium heat, add a little olive oil and crack an egg into the pan. Once the egg white is set on the bottom, put a lid on the pan and lower the heat. 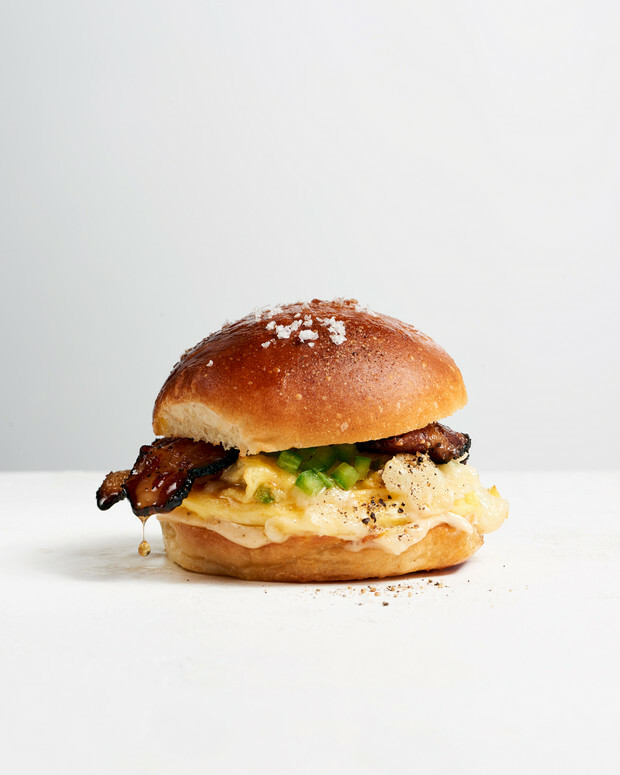 In about two minutes, you will have a perfectly over-easy egg.